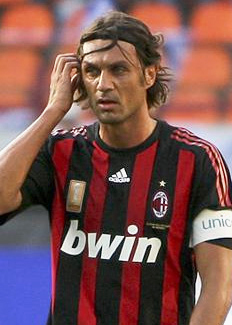 Paolo Maldini is probably one of the best defenders of all time and a bona fide AC Milan legend. Lots of people thought he'd become a great manager but he hasn't done that. WHY?! I’d like to destroy this myth that I am ‘one of the family’ at Milan. They don’t particularly want me there. I feel bitter, but not just for me – also for everything we created together that has fallen apart. It’s the same sensation many of my ex-teammates have. I just want to give the magic back to Milan. He also said some stuff about how he doesn't want to be a manager anywhere other than AC because he doesn't want to leave Milan, which kinda limits his options. Specifically it narrows it down to one job, and that's a pretty tall order, as I know from experience. Then again, maybe Paolo Maldini's CV is more suited than mine to work in Costcutter. I just have to keep believing!